This lid is intended for use at healthcare facilities, transporting beverages and soups from your kitchen to the dining room or private patients' rooms. It serves as a great shield against potential airborne contaminants until the patient or resident is ready to eat. 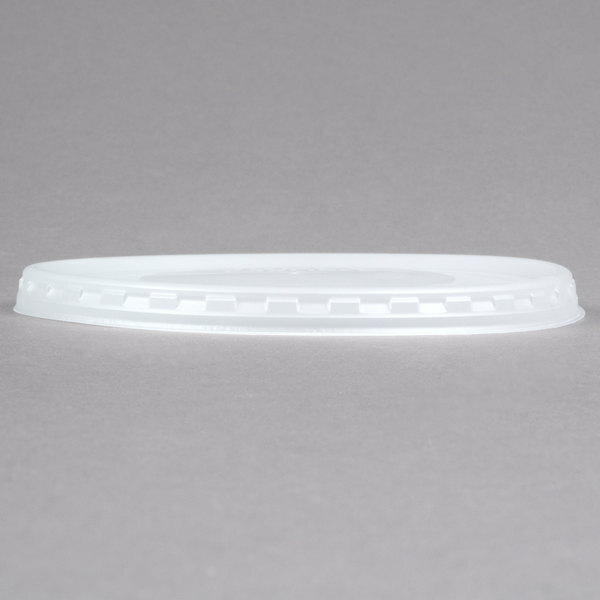 For these specific purposes, this lid may not create a spill-proof fit on companioned tumblers so that it is easily removable for patients, residents, nurses, or family members. 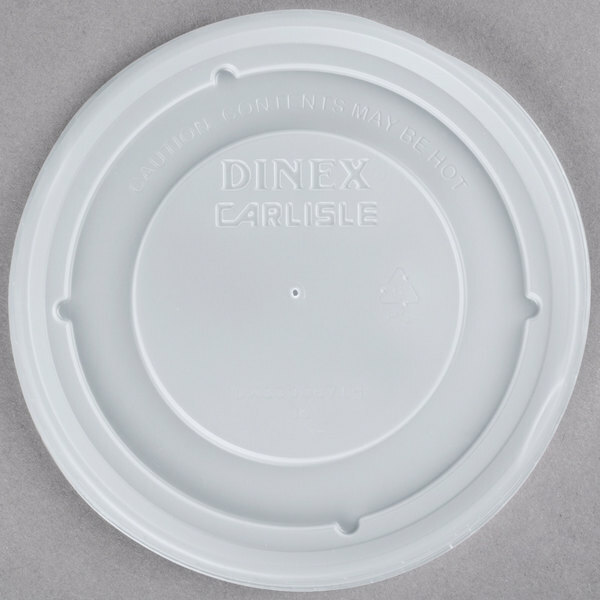 Reduce spills and harvest heat in a bowl of savory vegetable soup or steaming beef broth at your hospital, retirement community, or healthcare facility with this Dinex DX33008714 Turnbury translucent lid. 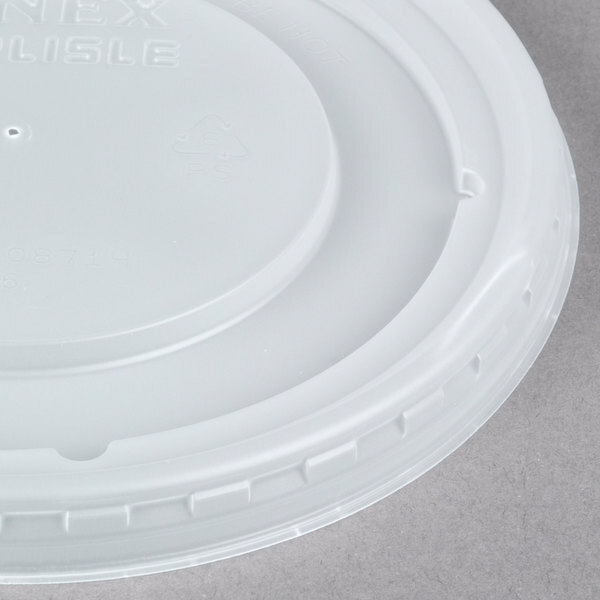 Each single-use, disposable lid is made of sturdy, high density polystyrene plastic, creating a guard against dirt, germs, and other airborne contaminants. 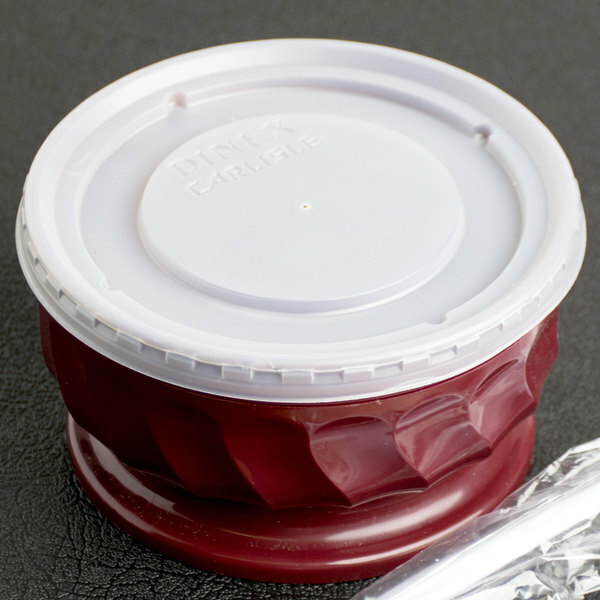 This lid's moat design hugs the container's edges and ensures a secure fit. 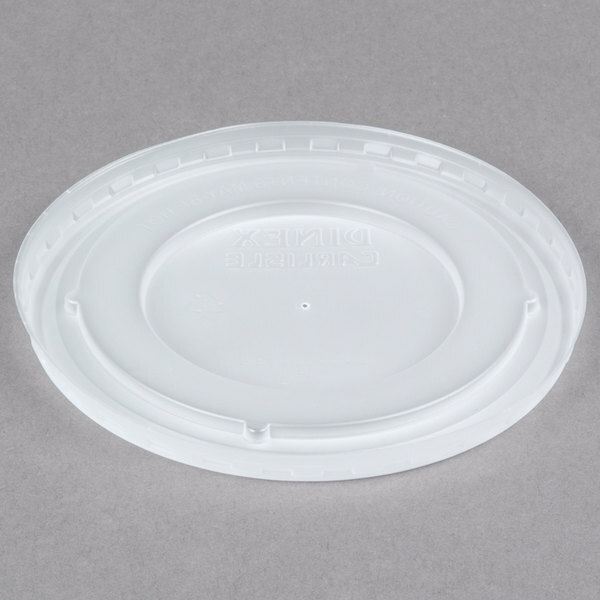 All lids are vented for hot food safety and reduced condensation. Durable and efficient, these lids are stackable for easy storage and display! 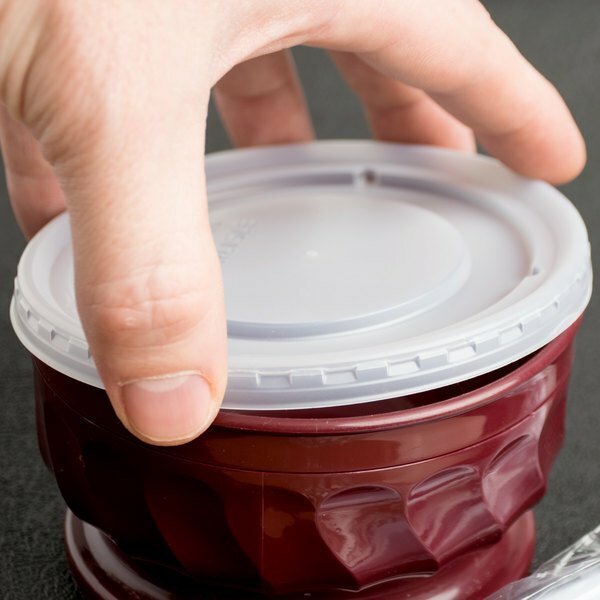 Conveniently place a stack of lids in your kitchen or dining hall for easy access. Removal tabs are located on each lid to ensure easy and sanitary separation. 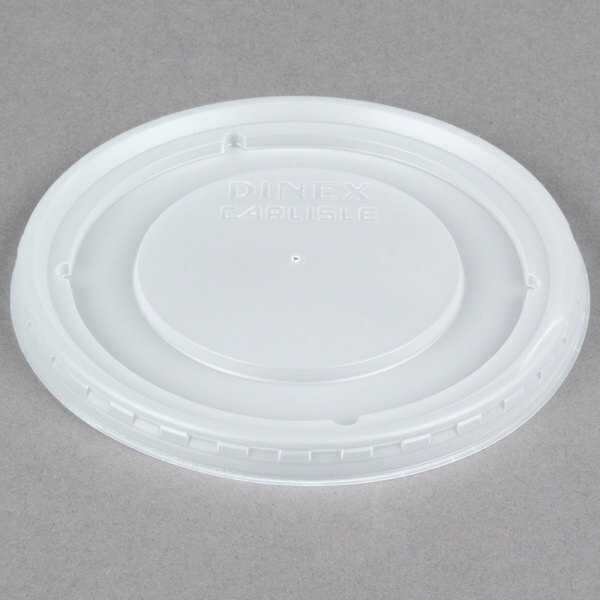 This lid is designed to fit Dinex Turnbury 9 oz. bowl.